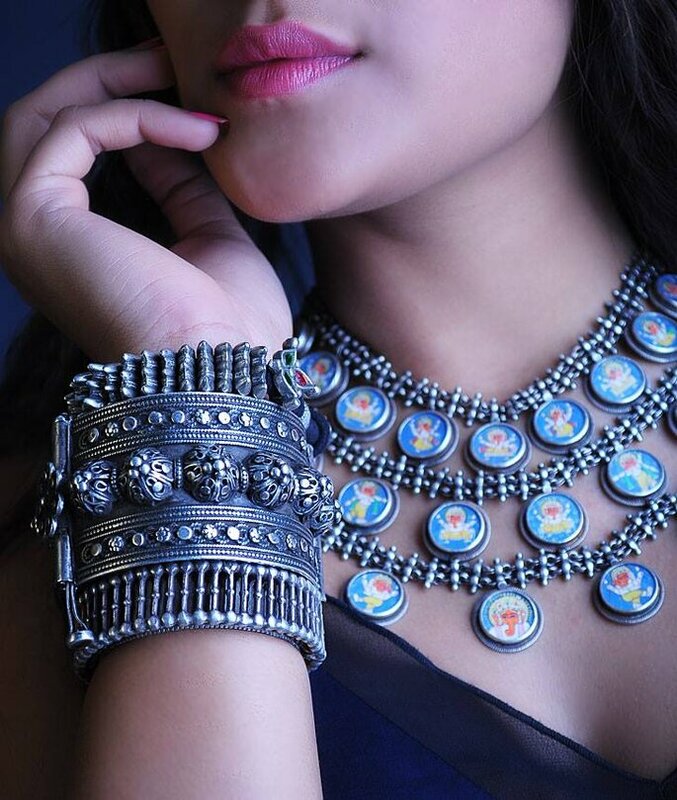 Woman and Jewelry compliment each other beautifully as they make each other look even more elegant and beautiful. 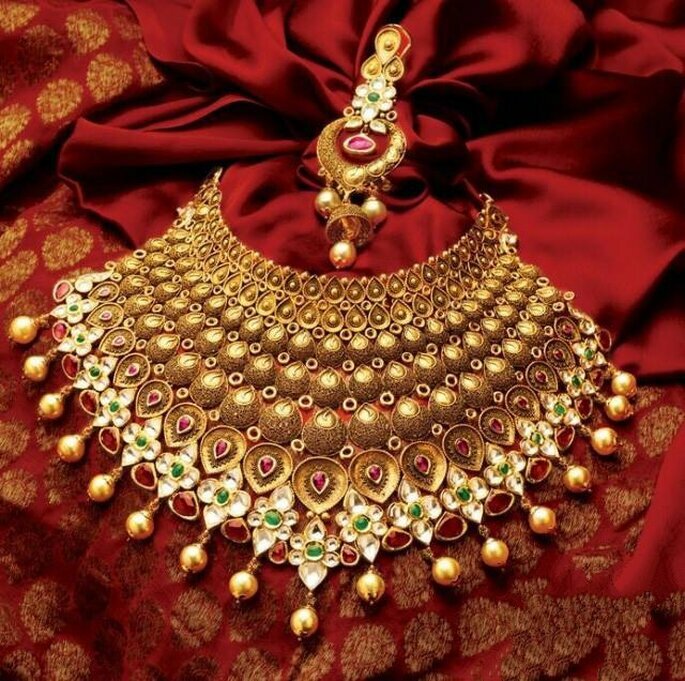 So get your wedding jewelry from these top best jewelry shops in Jaipur! Have anyone imagined a bride without wearing jewelry? 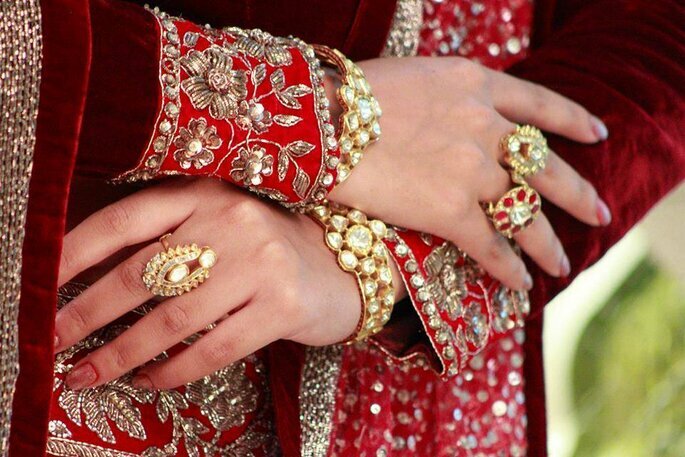 Most of your answer will be no, it is true because a bridal look is incomplete without her wedding jewelry. The bridal outfit, makeup and jewelry play vital role in making a bride’s fabulous look. So be selective while choosing your bridal jewelry here are some best jewelry shops in Jaipur which will make your eyes delight. J.K.J. & Sons Jewellers, who have always added to your treasures at different occasions, since Satya Narayan Mosun started this world-class jewelry store. J.K.J was established in the golden year 1868. Since then the name of J.K.J slowly and steadily started spreading all over the nation. The business further flourished and with the help of their dedicated team of artisans, they started exporting their creative collection of golden jewelry to Dubai from the year 1992 until 1994. Seeing the ever-growing demand, they first established their retail outlet in Rajasthan. In 1996 JKJ launched for the first time in India. Since its inception in the year, 1978 Tatiwalas has gone leaps & bounds in its growth. Tatiwalas was started as an export oriented company for Gem Stones and it captured a sizeable share of the gemstone market in many countries. 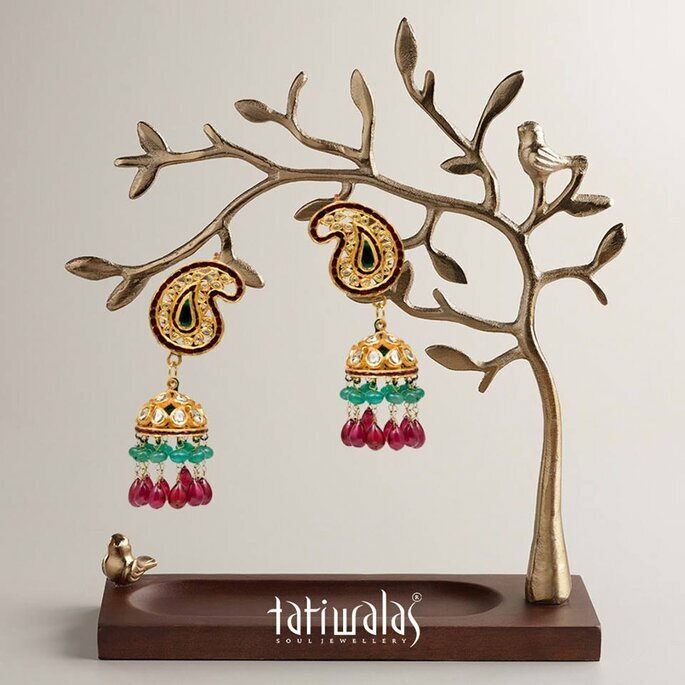 Seeing the growth of domestic demand for Jewelry, Tatiwalas started its own Jewelry manufacturing unit and started producing world class Jewelry not just in Diamond & color gemstones but also in Kundan Meena and Victorian Style. Umrao Jewels is a jewelry house, the foundation of which was laid by one of the most reputed and respected jewelers of his time – Shri Umrao Mal Shah. His sons and grandsons in a unique family owned jewelry business work together to continue the unmatched legacy of – Umrao. 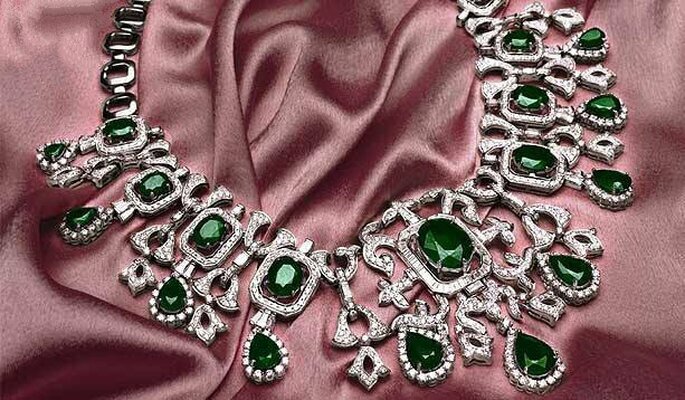 The Umrao Jewels name has always been the benchmark of excellence in fine jewelry. 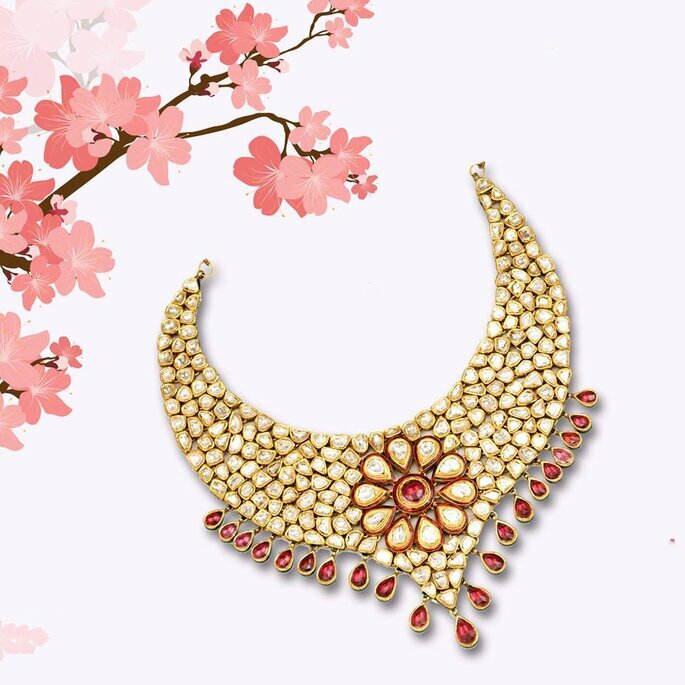 Umrao Jewels have been the imaginative force in designing and manufacturing exceptionally handcrafted jewelry in Edwardian / Byzantine/ Mughal-Kundan Meena /Art Deco / Art Nouveau styles. What makes them truly unique is the blending of various styles together to make spellbinding charismatic jewelry. 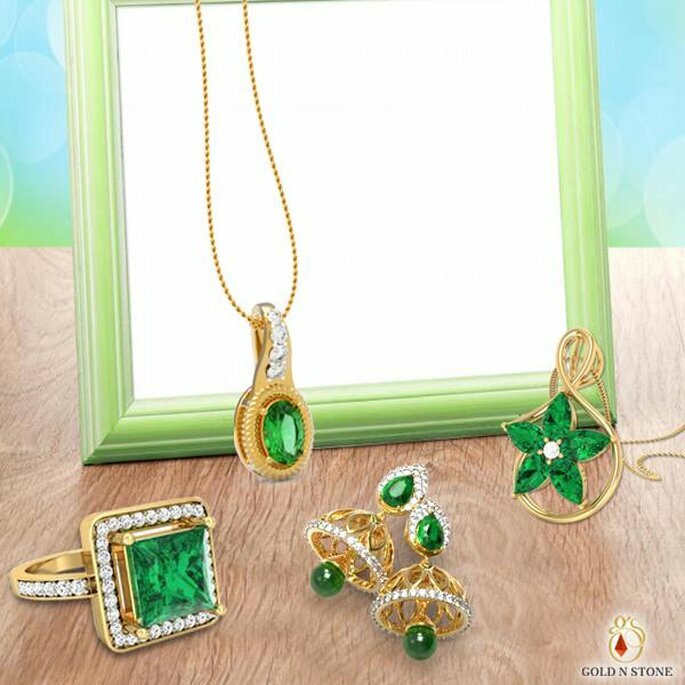 ‘Kalajee Jewellery’ stands for all that spells quality. 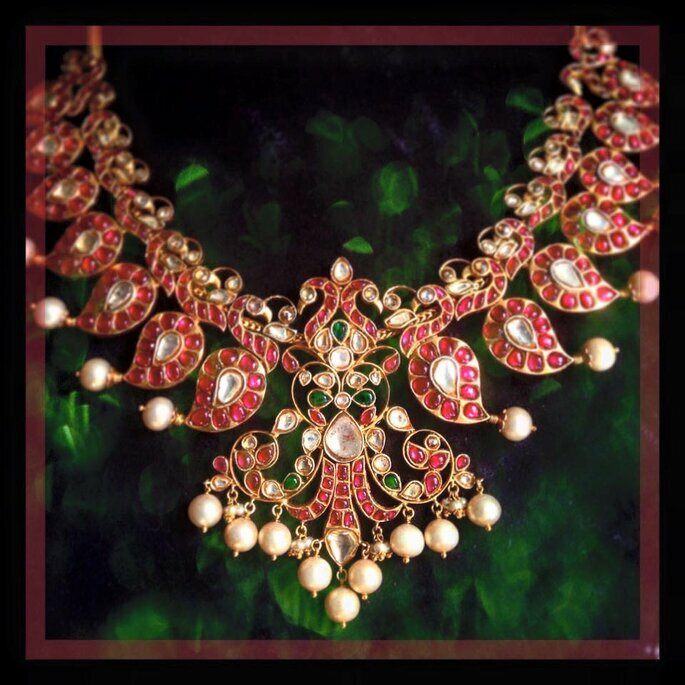 Kalajee is a renowned jewelry brand which adorns and glorifies the person who wears it. 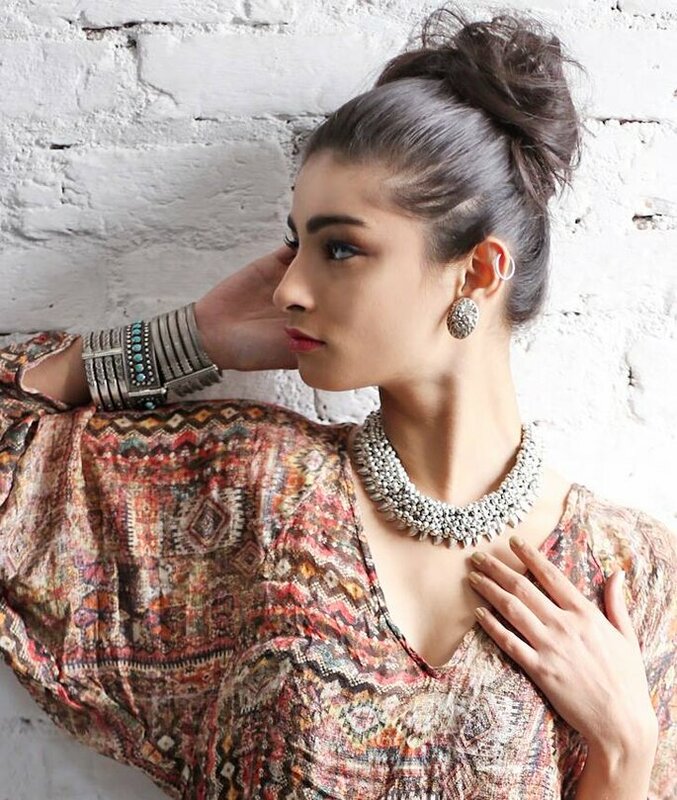 Kalajee understands the changing needs of a woman and offers a varied range of collection. These cater to every possible occasion and requirements. The brand is all about the aspirations of a modern Indian woman who follow traditions but at the same time does not lose her individuality. The royal patronage of Maharaja Sawai Jai Singh II, founder of Jaipur, was instrumental in inviting the family of Surana jewelers in 1735 from Delhi to promote the intricate art of handcrafted gold, enamel, Kundan, Diamond and precious stone jewelry. Surana jewellers, an intrinsic part of the city’s heritage, have since then perfected the art form and handed this craft down the generations creating masterpieces reminiscent of the royal bygone era. Two and a half centuries of experience, fine craftsmanship, and customer satisfaction have been the key factors in making them pioneers in the art of Jadau. 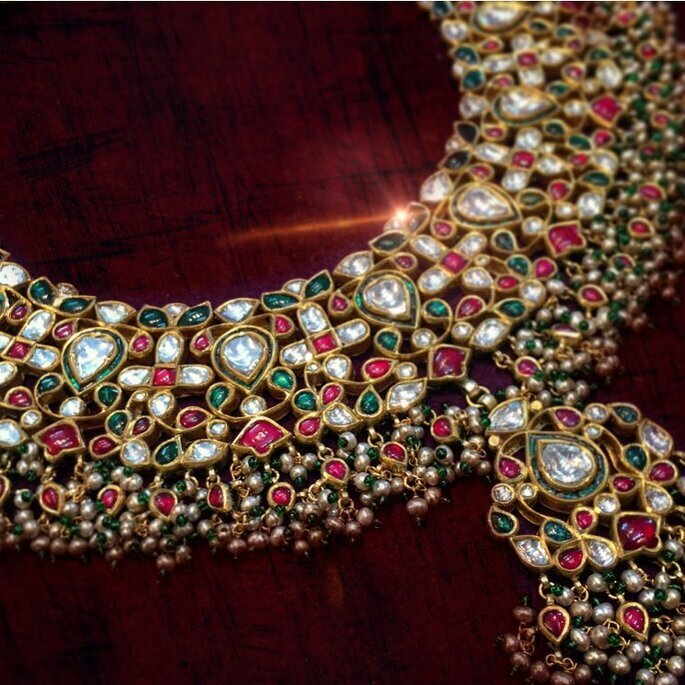 Photo: Surana Jewellers Of Jaipur. Sangeeta Boochra is a globally renowned and respected jewelry brand established in the year 1897 by Seth Kistoor Chand Boochra being awarded as the Silver King of India. At the moment We are the biggest company in their segment in India. Brand Sangeeta Boochra is owned by company Silver Centrre Jaipur. The brand has 35 stores across the world and its presence in the finest Museums of India, Cottage Industries etc. Their client list includes Hollywood, Bollywood Celebrities, Bureaucrats and royal families of the world etc. 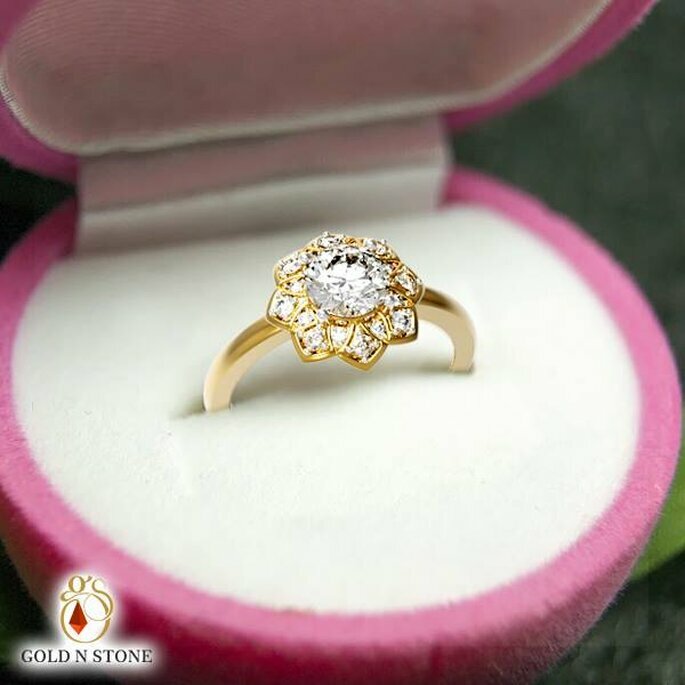 GoldnStone Inc. is an organization which is run by a team of young business professionals who have inherited the Jewellery business from their elders in the family. The family has been in this business for the last 70 years, with their main establishment in the Rose Pink City of Jaipur, which is globally famous for the trade in precious gemstones and ethnic Jewellery. Gradually over the years, due to their specialisation in the Ethnic Jewellery, and the regular patronage that they received from the clients, This organisation has become a major player in this trade of gems and Jewellery. 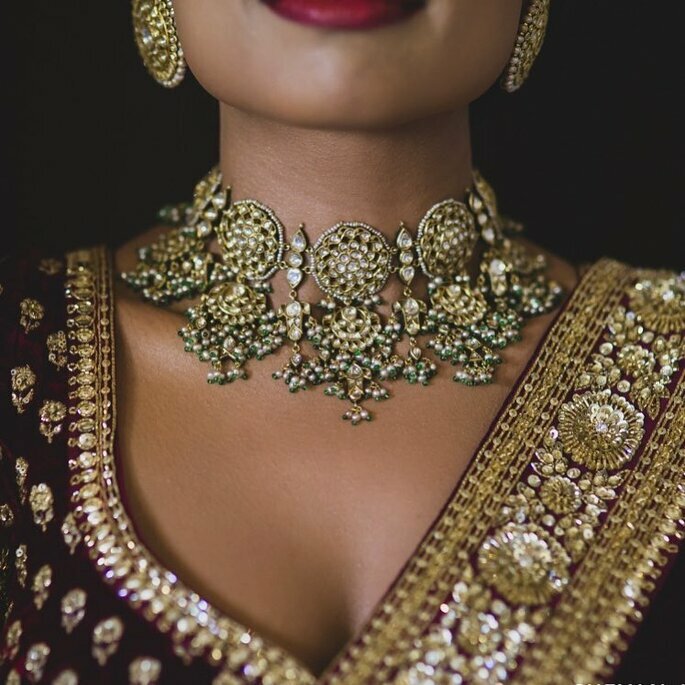 Choosing best wedding outfit is not sufficient to look gorgeous on your dream day, you as a bride should carry most amazing jewelry along with your mesmerising outfit and stunning makeup. So check them out and pick the best one!